Our popular PTT-1824 Trap Table can now be easily converted to a two-level folding rack without drilling or modifications by simply adding Pearl’s new PTR-1824 Add-On Trap Table Rack. The PTR-1824 installs in seconds using clamps and folds flush with the table for easy pack-up. Included are four straight and four angled 3/8” knurled posts that clamps anywhere on horizontal vertical areas of the rack thanks to their unique clamping system. Also included is a retractable three-legged stabilizer bar for optimum stability. 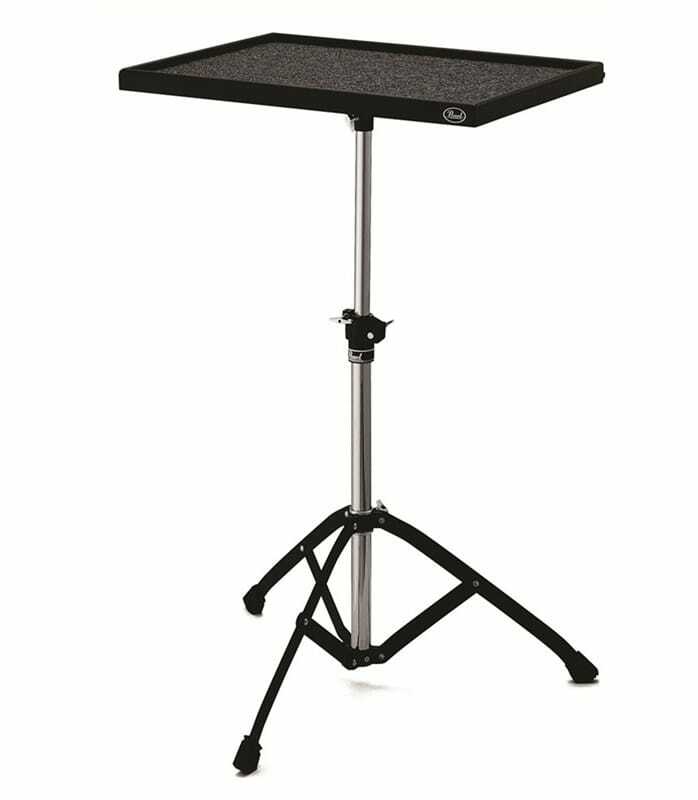 Ptt 1824 Trap Table Small 18x24 Base Tripod from Pearl is 100% original and brand new. We, at Melody House take pride in our after sales service and support. For further details on the ptt 1824 trap table small 18x24 base tripod, Pearl, simply write to us to consult an expert or order online and we will take care of the rest. Happy Shopping! Low Stock! We only have a few of these left! Get it now before it’s completely gone.